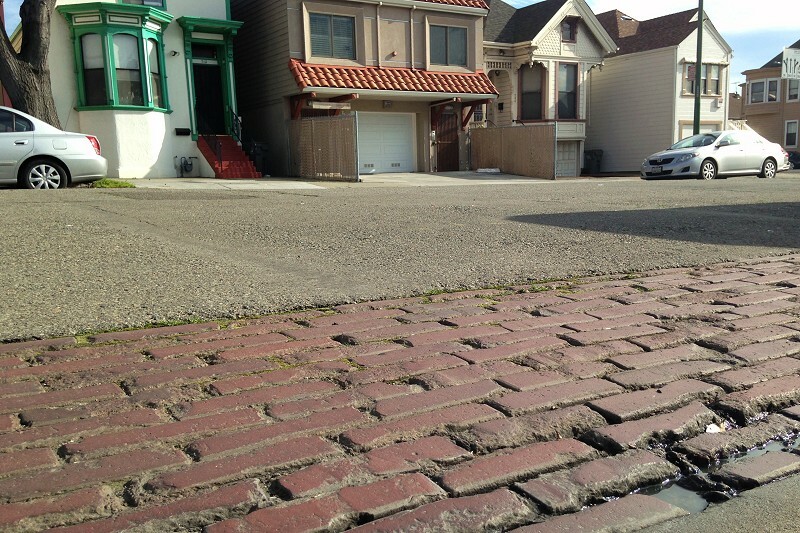 Older parts of Oakland feature gutter strips of brick and cobblestone. 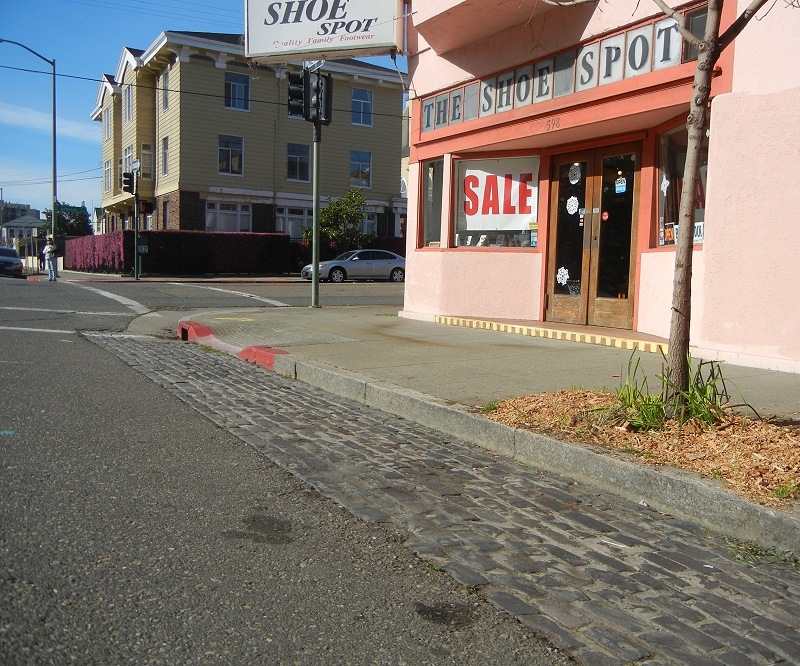 Cobblestones are rough blocks of solid stone that essentially never wear out. The most important thing in keeping cobblestone paving sound is the mortar. 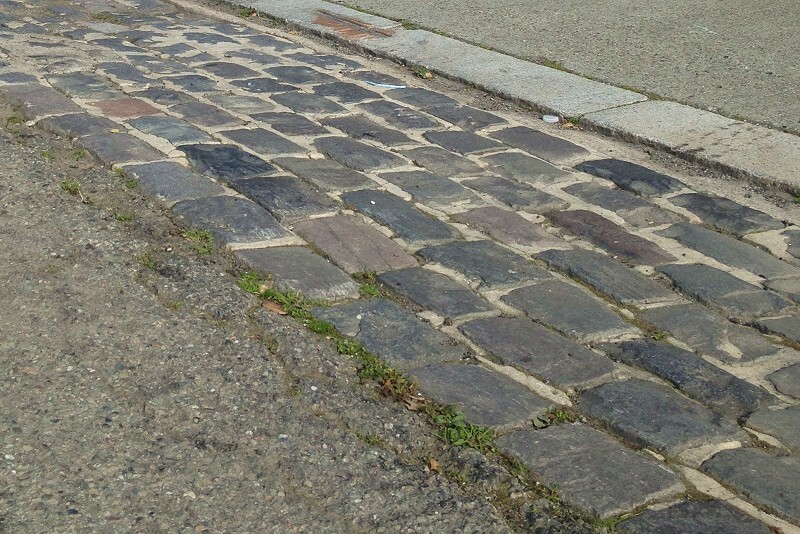 You don’t want loose cobblestones knocking around in the street. The material itself is tough, nondescript basalt or argillite or gneiss. Some of it could have been quarried locally, but I doubt it. Then there’s good old brick. It’s easier to work with, but it doesn’t wear as well. I think that paving brick is a different grade of material than your wall-building brick. People out there know a lot more about this stuff than me — people like Dan Mosier, creator of the California Bricks site. This entry was posted on 17 February 2017 at 11:02 am and is filed under Streetscape. You can follow any responses to this entry through the RSS 2.0 feed. You can skip to the end and leave a response. Pinging is currently not allowed.